Key Stats: Rucker has passed for over 700 yards, Remy has made 6 field goals on the season. Summary: SM North has matched their highest season win total under Majors including a major upset of Olathe South. After suffereing a 19-3 loss to SM East last week, SM North is in a must win game if they stand any chance at making the playoffs. Unfortunately for the Indians they are facing arguably the Sunflower League's best team in SM West. The Vikings possess the most powerful offense in the league, and have, as usual, one of the stingiest defenses. 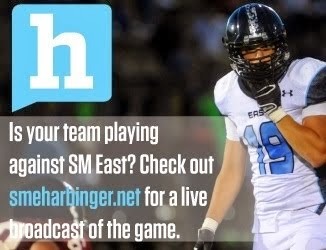 SM North's hope lies in SM West overlooking this game after collecting a big victory last week. SM North is also playing at their home stadium so the Indians do have somewhat of a comfort level. My Prediction: SM West has all the tools necessary to run the table on the regular season, and SM North should be just another checkpoint along the way. I expect a big game out of the Vikings. SM West 45, SM North 10.